In 2019, gamers who are in the market for a new graphics card have an interesting array of options to choose from. 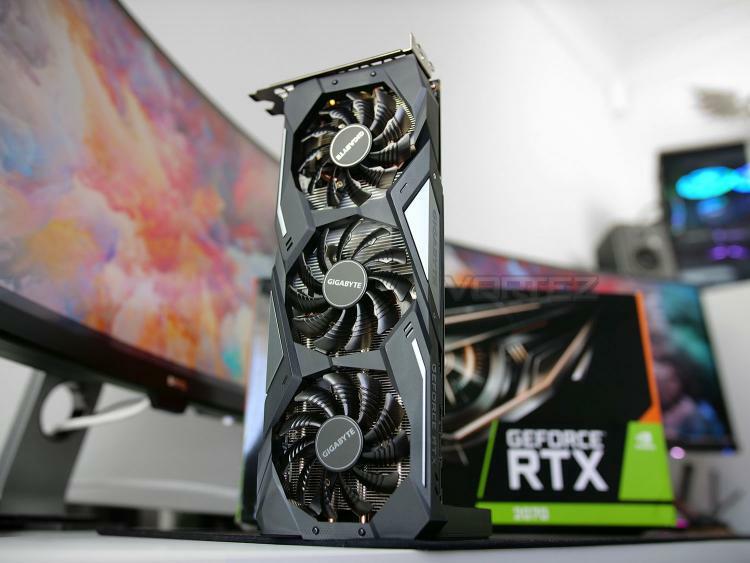 For cutting-edge technology and the latest innovation, the GeForce RTX family of graphics cards are an intriguing proposition – each of the models now having proved their competence in the gaming arena. The RTX 2070 is positioned as offering a good blend of performance while still commanding a palatable price-tag. Today, we have in our hands no ordinary RTX 2070; enter the GIGABYTE RTX 2070 GAMING OC, a graphics card which combines the success of the WINDFORCE cooling solution with a factory overclock. This custom design may not be as spectacular as something like the AORUS XTREME (the performance tier of GIGABYTE) but it should hopefully still deliver a low-noise, low-temperature pathway to next-generation features like Real-Time Raytracing and Deep Learning Super Sampling. Are you upgrading from older hardware and considering the RTX 2070? This GPU may well be worth your consideration! A global leader in the PC industry, GIGABYTE offers a comprehensive product lineup that aims to “Upgrade Your Life.” With expertise encompassing consumer, business, gaming, and cloud systems, GIGABYTE uses research and innovation to consistently meet user needs. GIGABYTE is renowned for award-winning products including motherboards, graphics cards, laptops, mini PCs, and other PC components and accessories, and has revolutionized the PC industry with patented DualBIOS™ and Ultra Durable™ technologies. As an expert in PC technology, GIGABYTE is poised to extend our scope in business servers and cloud systems with hardware and software solutions that integrate AI and AloT applications to develop the ideal infrastructure for future prospects in 5G.